In manufacturing, change happens – rather you’re ready for it or not. Sometimes these changes are expected and sometimes not so much. There are many forces acting on the manufacturing system (or any business system for that matter). These forces create pockets of pressure and vacuums that ultimately result in disruptions to the manufacturing system if not handled effectively. There are many sources that these forces can emerge such as: corporate mandates, governmental mandates, personnel changes, competition activity, technological advancement, customer taste changes, new market pursuits, improvement events, etc. This list barely chips the iceburg. When the forces of change becomes strong enough in any direction, the manufacturing system has to have the agility to quickly adapt and sustain acceptable productivity levels. Change is risky but absolutely necessary; it is also unavoidable. With that said, how can a manufacturing system be in pursuit of perfection, when the system is in a constant state a flux? While I’m a huge proponent of Lean Manufacturing, the reality that the manufacturing system is in a constant state of flux highlights a limitation of Lean, which sometimes assumes that processes remain generally the same. It also exposes the urgency of Agile Manufacturing. 1 – Change Tracking Log – This provides a database of past and future changes and allows effective prioritization. The log allows for changes to be spread out on the factory’s calendar so that non-critical changes can be scheduled around critical ones. The Tracking Log also helps to predict how upcoming changes will affect one another. Finally, the Tracking Log helps to identify which key stakeholders have signed-off on the change and which buy-offs are still pending. 2 – Change Management Communication – CM Communication provides the critical change information to the right people on a regular basis so that all stakeholders remain aware of what changes are coming down the pipeline. This helps leaders to predict how upcoming changes will impact their areas of accountability and allows them time to take steps to prepare. The CM Communication could occur in the format of a weekly meeting, emails, publishing printed documents or whatever works best within the context of your manufacturing environment. 3 – Risk Assessment – This is a process that provides a safe format for all key stakeholders to assess risks and voice their concerns about an upcoming change. The Risk Assessment also provides a platform to collaborate on any mitigating actions needed to sustain acceptable business performance. 4 – Key Stakeholder Buy-offs – Stakeholder Buy-offs allow key stakeholders the opportunity to approve or dis-approve on the quality of execution of the agreed-upon mitigating actions from the Risk Assessment. Depending on how your CM System is designed, the owner of the change will likely have the obligation to provide as much evidence as needed to validate effective execution of mitigation actions. This could include test results, photos, training sign-off sheets, or any other form of proof. 5 – Change Management Review Process – The CM Review Process is a step to ensure the integrity and Continuous Improvement of the CM process itself. Its possible to develop CM metrics to measure the team on the effective execution of the CM process. For example, one metric could measure if the change owner obtained 100% of required sign-offs before the change actually took place. Another could measure the delta in OEE% for a process following the implementation of a change. Implementing an effective Change Management System is an initiative in itself. 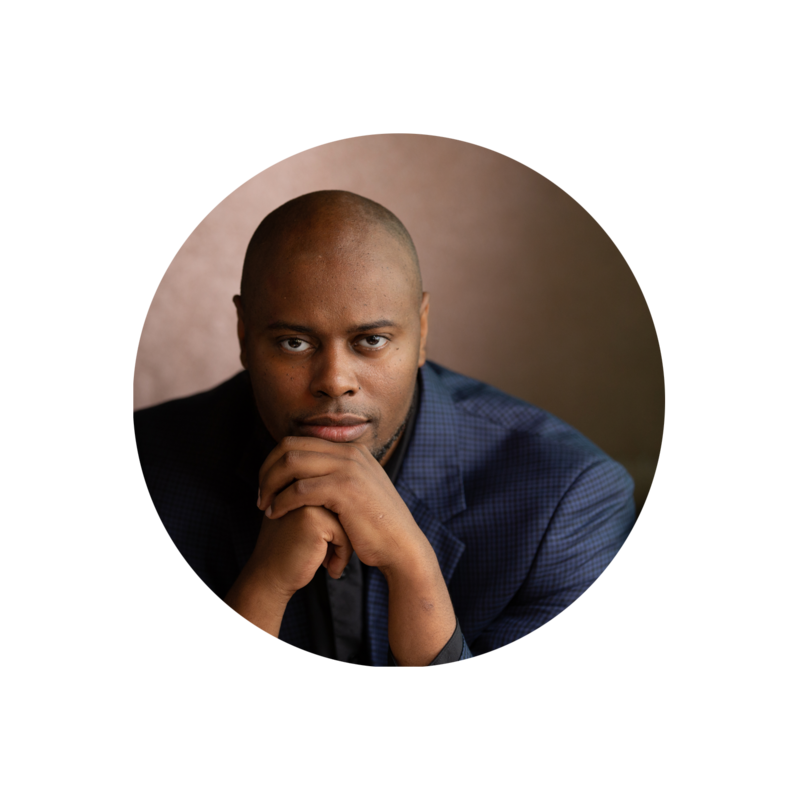 Just like any initiative, its success or failure depends primarily on the discipline of its leaders to see it through even when others have not bought in. An effective Change Management System can be a tremendous asset for people on all levels in the factory and the company at large. It provides a systematic way to drive the changes that need to be made. So if you’re an operator on the plant floor, you can use the CM System to initiate a change for much-needed improvements in your production area. Likewise, the Plant Manager can use the CM System to ensure team engagement and support before engagement. Additionally, in the most Agile organizations, CM Systems are used company-wide to affect changes initiated across different business units such as Marketing, Sales, Distribution, Finance, or other. What is the mix of attitudes toward change within your organization? Is your factory’s mix of attitudes optimized for transformation? One of the most critical factors of a successful Continuous Improvement implementation is having the right people on the bus. When undergoing this type of change, the organization is going from a steady state to a transformative state of operation. To optimize the speed and strength of an implementation, it helps to have the right mix of personalities, talents, competencies, and attitudes in place. For instance, the greater manufacturing competency (such as experience with Lean, Six Sigma, or other), the easier the implementation. In regard to personalities, it helps to have a diverse team that can bring a variety of perspectives to the table. Also, talent brings magnitude to the direction that is set for the change. However, the predominant factor in the organization’s Agility is people’s attitudes toward change at the onset of the initiative. Organizational Agility is the speed at which it can effectively change and return to steady state. Granted, people can change and judgement needs to be applied as to how much a person can change and by when, the amount of time required for people to change adds time to the implementation. As you may have gathered at this point, a CI implementation needs to happen in the attitudes and behaviors of people, just as much as it happens with other manufacturing assets on the production floor. Depending on the specific current and future needs of your business, your approach to getting the right people on the bus will vary. Sniff (or the Change Agent) identified change early. He kept things simple and adopted the change. He would represent those in the organization who advocate change for the others. Scurry (The Supporting Agent) was eager and quick. He was flexible, aware and accepted the change that was taking place. Haw (the Adapter) dealt with change in a different way. He was able to relinquish old behaviors and learn from past mistakes. Hem (the Stabilizer) preferred to stay in his comfort zone and ignore the reality of the situation. He felt entitled and just trusted his needs would be met if he took the easiest path. The point is to show a significant shift from people on the Stabilizer end of the spectrum toward the Change Agent end. This is especially true within the Leadership group of the organization. This may also require either helping people to change their attitudes or hiring/promoting/firing people to optimize the mix required to strengthen a transformation. Notice that even in a state of transformation, some population of Stabilizers is still required to support implementation. This is because Stabilizers are best suited for driving adherence to standards, which is critical for continuous improvement. To effectively apply this model, an inventory of attitudes toward change should be taken to get a snapshot of the organization’s current state. An expert can help you determine the attitude mix required to achieve the desired future state. After the implementation has reached maturity, there should be a shift in attitudes away from Change Agents and toward Stabilizers in efforts to sustain desired changes. At any state of operation, there is an optimal mix which should be evaluated and decided upon based on the current and future needs of the business. Have you ever heard of an economic model where everyone makes about the same amount of money regardless of what actual value they contribute to society? Of coarse you have…just pick an American factory at random and that’s pretty much what you’ll find. The norm for US factories is to have minimal or marginal income diversity, especially among blue collar workers. Let’s look at this model in a slightly different context. Take entrepreneurship for example. Entrepreneurship usually takes a substantial degree of risk but can be tremendously rewarding if it works. Just about every entrepreneur would tell you flat out that the potential for rewards out-weighs the risk, and that’s why so many people go for it. This is one of the most powerful engines in business and for any economy. In fact, some brave soul(s) made this calculation prior to the birth of every company in existence. If you told an aspiring entrepreneur that no matter how much risk they take on with their dream venture, they would never make much more than $18/hr, do you think they would still go for it? Do you think they would bother with all the brainstorm sessions, raising capital, breakthroughs in innovation and all the exciting and sometimes dreadful aspects of entrepreneurship? Probably not so much. This model of marginal income diversity contradicts some of the values that America is founded on. Some of those being freedom, prosperity, equality, competition, individualism, progress and change, etc. The compensation system currently used by most American companies is designed to make life easy and predictable for the accounting function. It was designed and deployed before we had computers to do the vast majority of our bean counting. The downside of the current low-income diversity model is that it gradually disengages employees and is counter-productive to the most predominant American values. In other words, it shuts the growth engine off at the shop floor level. This leaves managers scrambling to find the next motivation and performance management tactic to deploy in efforts to maintain or increase productivity levels. So the question becomes – How can we leverage the values that have made America the most powerful economy in the world to make your company more successful? The answer lies in providing those who create value for your customer with the freedom to create wealth for themselves. Not by working slower and racking up overtime hours; but by working smarter with the time they have available. Not by asking them to claw their way up the corporate ladder in hopes for a higher salary; but by tying their value contribution to their income on a daily basis. The answer lies in converting employees into business owners that operate within the framework of the larger company. This is an example of a model where employees are given a tremendous degree of ownership of their work. 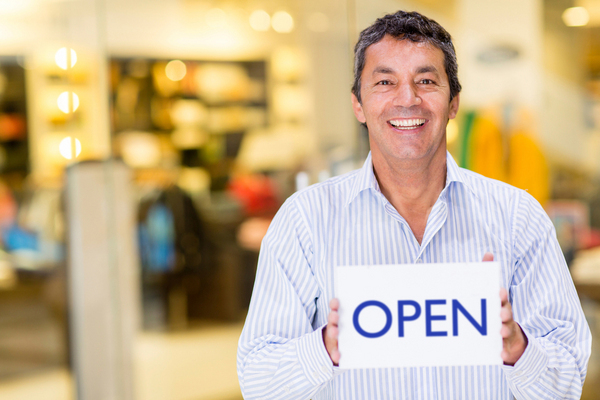 Every employee has internal suppliers and customers, just like every business has. In this model (in the manufacturing environment), there are those who make stuff and those who provide services. Anyone not a part of the immediate value chain is a Service Provider. The compensation of those on the value chain is linked to the value they contribute on a daily basis. Those on the value chain (aka Value Creators) would be allocated a production budget. Internally (or externally) contracted services would be paid for out of that Value Creator’s budget. The Value Creator is allowed to take home whatever portion of their budget that they don’t use. Value Creators who want to increase their take-home pay might invest more in training and continuous improvement to reduce their operating costs. See my post on Value-Based Compensation for more details on how this works. Service Providers are compensated based on being “hired” by Value Creators internally to provide a service at rates that they control. In this model, a service provider, such as a maintenance technician or trainer, could potentially price themselves out of the internal market. This provides an incentive for service providers to strive for quality and perfect their craft to keep steady business. Since Value Creators have a choice in who provides their services, Service Providers who are poor performers will struggle to find work in the factory. A Service Provider who wants to increase their pay might invest more in training so they can charge higher rates or they can foster strong relationships with Value Creators to maximize billable time. The major benefit to this model is that the production floor becomes virtually self-managed. Poor performance anywhere results in lower pay everywhere on the value chain. If a supplier struggles to get parts made, it reduces the value that can be created downstream – resulting in reduced pay for all those affected. This makes the pain of poor performance hit home across the board and puts tremendous pressure on everyone to work together to achieve more. This model self-corrects many of the issues that plague American manufacturers today such as resistance to change or improvement, managing individual performance, eliminating waste in activities both on and off of the value stream, and others. One of the potential drawbacks to this model is that some people may end up making less than minimum wage. Minimum wages can be instituted as well since manufacturing typically pays well over the legal minimum wage. This works out because those who don’t perform well and end up making just the minimum wage can (and probably will) easily find manufacturing work elsewhere for substantially more money. 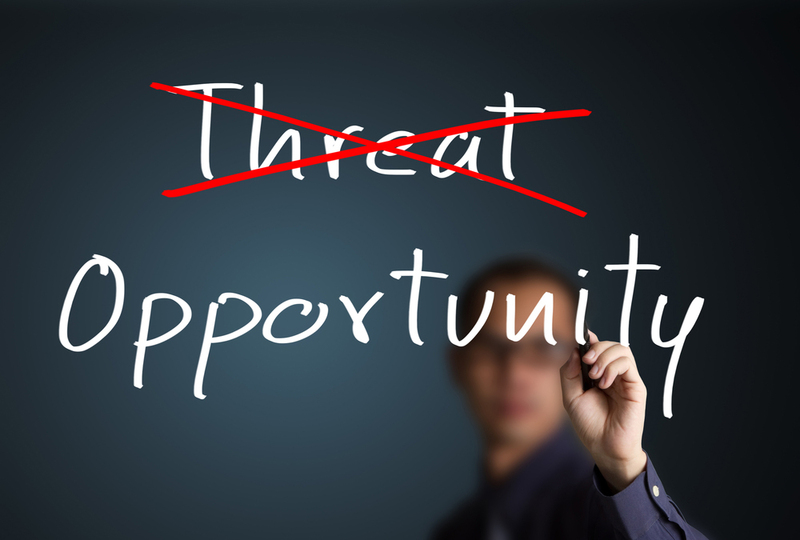 This automatically free’s up opportunities to on-board higher performers. In the end, your factory becomes a sub-economy that is driven by people’s own desires for freedom and prosperity instead of top-down command and controlling. The Fishbone Diagram. One of the most versatile tools in the Lean toolbox. It can be summed up as a tool for facilitating a root-cause brainstorming session. Effectively facilitated, a problem-solving session using a Fishbone Diagram (also called the Ishikawa Diagram), can uncover unimaginable realities about your business or production process. It can be argued that this tool (along with other Root Cause Analysis tools such as 5-Why) is the cornerstone of any Lean Manufacturing implementation. What makes this tool so powerful though? And why is its use so widespread? Below I’ve outlined some of the ingredients in the secret sauce of the Fishbone Diagram’s power. If you’re not already applying this tool in your business, you’re already falling behind! 1) Simplicity. Simply stated: simplicity is genius. The learning curve for a Fishbone Diagram itself is literally 5 minutes. It may take a lot more time to learn to be an effective facilitator; but given a strong background in facilitation, this is an easy plug-and-play tool. The key components are: a list of potential sources of problems (usually 4 to 6 items), a well defined problem statement, space to write ideas where everyone in the group can see, and a follow up action list. You’ll also need some process for prioritizing which “potential causes” will be investigated and in what order. The process itself doesn’t fully “solve” the problem; it just gives you a list of likely suspects which is a great place to start. The problem is only truly solved through rigorous trial, observation, adjusting -> wash, rinse, and repeat until you get the result you want. The beauty of simplicity is versatility. I’m convinced that this process can be applied to any problem big or small from machine downtime to world hunger (which, depending on what industry you’re in, could be very related problems). 2) Team Calibration. One of the most impressive things I always get out of Fisbhone sessions is the multitude of issues that different people believe are causing the problem. It seems that the root of the problem in people’s minds depends highly upon your personal perspective, which is shaped by your position in the organization. Furthermore, people often believe the problem is being created by something outside of their immediate control. During these sessions, what is usually discovered is that everyone has some role in what I call “feeding the monster”. Everyone has some behavior/action that is immediately causing or could have taken to fix or avoid the problem. One of the keys to a great Fishbone session is having a cross-functional group of people who are close to the process attend and engage in the session. This might be line operators, mechanics, QA technicians, supervisors, training and admin personnel, and others who support the business system. You also need to create an environment where people are free to contribute ideas without judgement or fear of retribution. Then you need to prioritize, as a team, the most likely root causes that will be acted upon, in which order, by who, and by when. This makes the action list manageable and helps to capture the biggest bangs in improvement up front. This also helps everyone involved to see the problem the same way and decide collectively what exactly will be done about it. The key is to understand that in almost all cases, there are several contributing conditions and triggers that result in a problem. The goal is to eliminate the possibility for that specific problem to reoccur. Then jump to the next problem and eliminate it as well. This is the process of continuous improvement. 3) Unintended overall process improvement. As you fix issues identified during one Fishbone session, you’ll start to see symptoms all over the plant go away, leading to organization-wide process improvement. Case in point: One of the issues that repeatedly showed up in Fishbone sessions with a prior client was that the operator was not fully certified before being released to work independently on the line. Under further investigation, several gaps were identified in the organization’s training execution. We were able to close several gaps in the training program, which contributed to a significant increase in plant-wide efficiency in just one quarter of the year. In essence, just doing the Fishbone analysis on one small part of the manufacturing process led to significant improvement in overall process efficiency and employee morale. This is the beauty of getting to the root of an issue – that same root is usually responsible for multiple weeds. Finally, a well documented Fishbone session can be used for similar issues that occur elsewhere in the plant or in the manufacturing network at large. Its easy to share the document with sister facilities to use as a starting point for their problem-solving process. 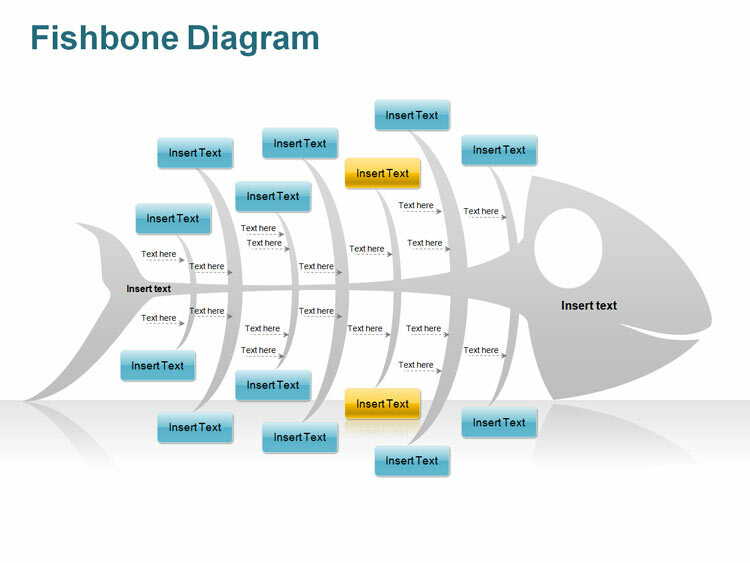 The Fishbone Diagram is one of my personal favorite Lean tools because anyone can learn and apply it effectively. If you can manage to get your floor operators walking through an informal Fishbone process as issues occur on the production floor, you have a very solid foundation for a Lean implementation and problem-solving culture. Just make sure your manufacturing support teams, including management, have the capability to support the floor operators as needed in their problem-solving efforts. Have you ever wondered what is the difference between Lean and Agile Manufacturing? Well you’re not alone. I’ve been in rooms full of manufacturing consultants who don’t have a complete grasp of these two manufacturing principles, their applications, and their differences. In the manufacturing environment, the two work hand and hand. You first decide what to make, then you decide how to make it better and more efficiently. In an environment where the “What to make?” question is asked more frequently, Agile is the predominant approach. Likewise, if the question is more frequently “How do we make it better/faster/less expensive?”, then you’re in the Lean wheelhouse. If you’ve decided what to make over breakfast and need to figure out how to cut operating cost by 50% by lunchtime, then you’ve ventured into the Leagile territory. Simply put, the easier it is for your factory or supply chain to change directions, the more Agile it is. The less resources required to produce a unit at quality, the more Lean it is. What’s the lowest possible cost to produce per unit? How much labor is required to produce per unit? How can we reduce operating costs by 15%? How can we improve service levels by 10%? Are our factories capable of producing Product XYZ? What would it cost to re-tool and get to full rate on Product XYZ? What would it cost to add Feature or Component B to existing Product 123? How long would it take to get this new SKU to full rate production? How quickly can we get to market with Product XYZ? What products can we introduce to increase annual revenues by 15%? What are the associated commercialization costs? If you’re a manufacturer that is happy with sales volumes and just need to reduce operating costs or increase productivity, then there are steps you can take to become more Lean, which is the systematic reduction of waste. On the other hand, if you’re a manufacturer that would like to increase or retain sales volumes by being more responsive and flexible, then there are steps you can take to become more Agile, which is the ability to quickly and easily change direction or speed.